Missing Person: VIODELDA (VI) FLEMING, 71, ASIAN FEMALE, 4'9, 140 LBS. Last seen: 7 a.m. 3/10/18 , 800 SAN PABLO DR,SM. 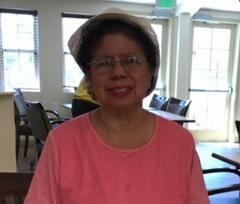 Viodelda (Vi) Fleming, 71 year old Asian female, 4'9, 140 lbs, wearing white and black shirt and black leggings. Vi has no cell phone, identification, or access to a vehicle. If you have information that can assist in helping safely locate Vi Fleming, please call 911 or contact the Sheriff's Department.